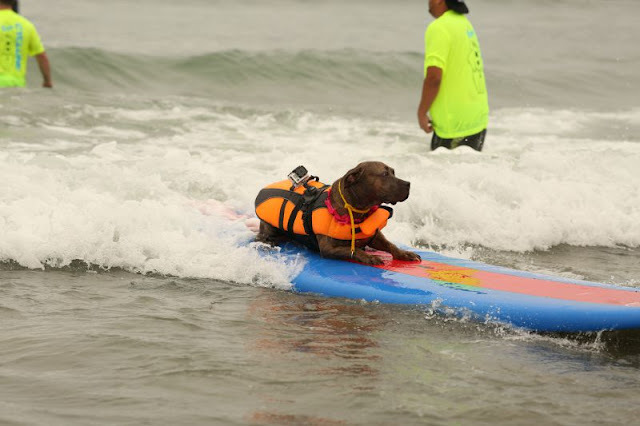 Over the weekend, more than 50 surfing dogs attended the Unleashed by Petco Surf Dog Competition that was held at Imperial Beach, CA. Surf Dogs who entered the competition were judged by professional surfer and pet parent, Taylor Knox. Proceeds of the event benefited San Diego Humane Society and SPCA. Human + dog surfing at the same time = awesome. I bet this dog will have some cool footage from that camera strapped to her back. This English Bulldog named Lola is really in the zone. She looks focused and ready to wow the crowd with her surfing skills! She's on Instagram and Facebook if you want to follow her. 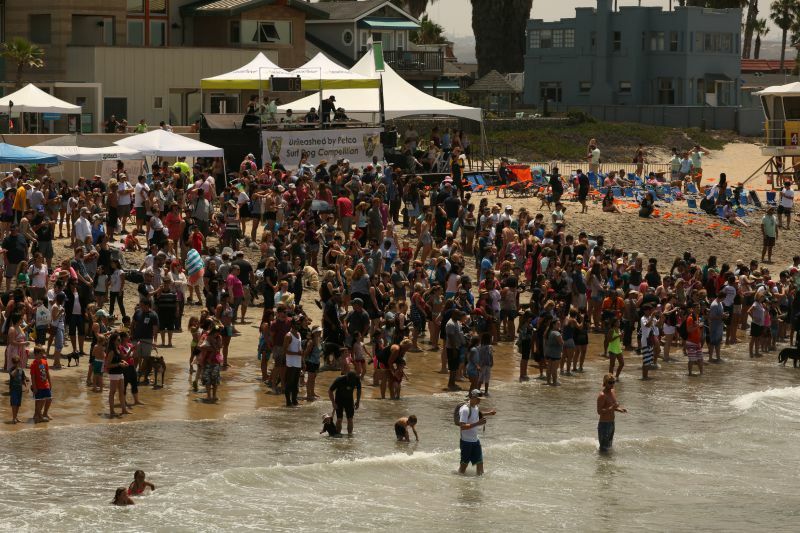 And speaking of the crowd at the Unleashed by Petco Surf Dog Competition, here's what it looked like out there. Special thanks to Unleashed by Petco for letting us share these fun photos on our blog today. I never knew that so many surfing dogs existed! Also, our friend Sugar the Golden Retriever got to attend this fun event in pawson and we watched on Periscope. You can read more about it on her blog too. 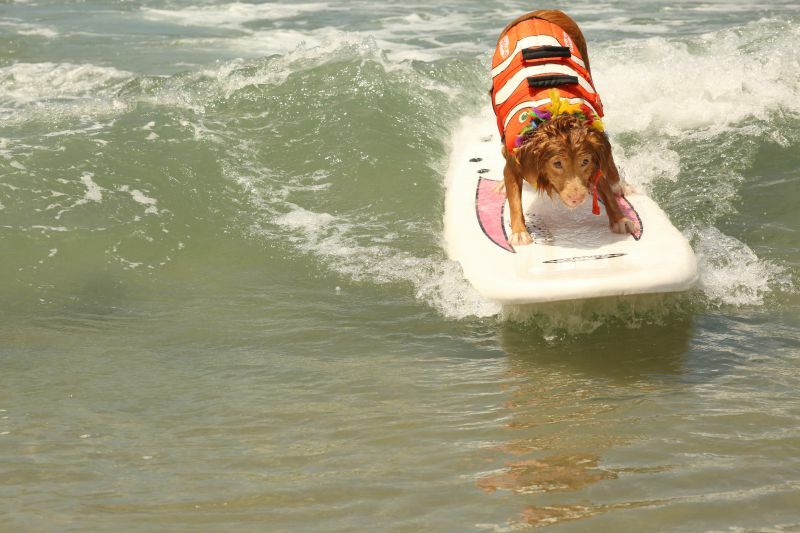 Have you ever watched a dog surf before? Oh, the photos are excellent, aren't they? Such brave doggies. 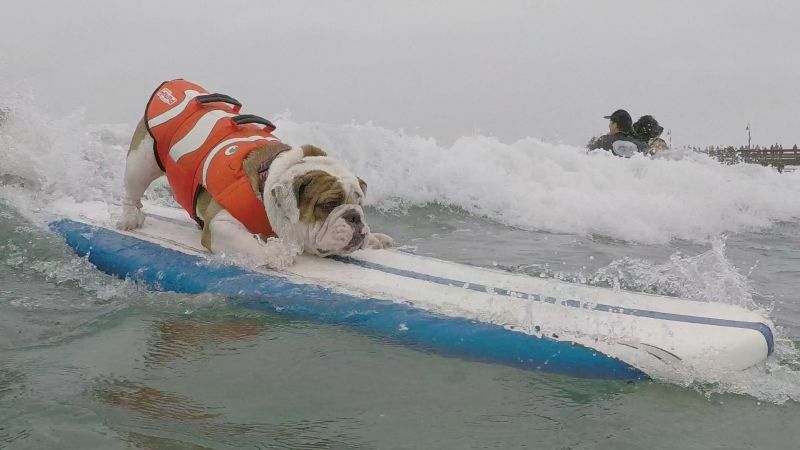 You would never catch me surfing, no sirree dog. Shiner likes to swim, but I'm not sure how she'd feel about surfing! Omg, that is awesome!!! I have always wanted to try surfing, but I am pretty sure my huskies don't feel the same way! The closest thing I've done to surfing is boogie boarding/body boarding. Seems much easier lol! We have tried it in a swimming pool, but never on an open water area. Fun! Thank you for commenting and letting me know where I can find her at! Petco sent over a few media photos, but I unfortunately do not know who any of the pets are. Going to find her over there and will edit this with her info too. She is awesome! The photos look like a fun day was had by both two and four legs. I too have never surfed, so I have mad respect for anyone who does. I kind of got that vibe from a few of them. But who knows. It could be the crowd or just a face of determination?